Whether you’re an experienced trader or you’re just starting to explore financial markets, the MetaTrader 4 platform is flexible enough to adapt to your level and trading strategy. Used by millions of traders across the world, the platform offers advanced technical analysis tools, automated trading features (Expert Advisors), as well as mobile trading applications. It also features a user-friendly interface that allows traders to view their orders, trades, and accounts, all the while keeping track of the latest market updates. What Does the MetaTrader 4 Offer? A full set of technical analysis tools and updates on breaking financial news. Premium security features with 128-bit encryption. A built-in help function that includes a comprehensive trading terminal user-guide. Quotes on different financial market instruments in real-time. A local database of quotes history with editing and export/import functions. An unlimited number of charts that can be plotted at various time intervals. Scripts that enable automatic execution of custom-programmed trade algorithms with a single click. Capability to view real-time quotes, open new positions, manage open positions, and monitor pending orders. You are able to trade your live or demo account on the move from your mobile and tablet devices. Our mobile trading application keeps you updated with the latest real-time quotes and allows you to quickly place orders, see open positions plotted on live charts, monitor account information, easily access reporting and lots of other features. 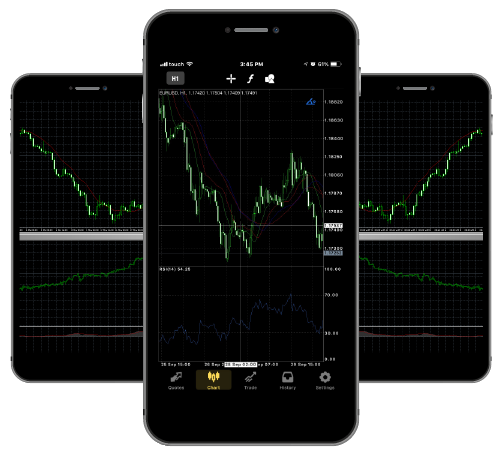 Whether you’re an iOS or Android user, you can download the MetaTrader 4 app and keep your trading account within reach. To have access to your trading account wherever you are, Amana Capital offers you the MT4 WebTrader that allows you to trade online without having to download any platform. 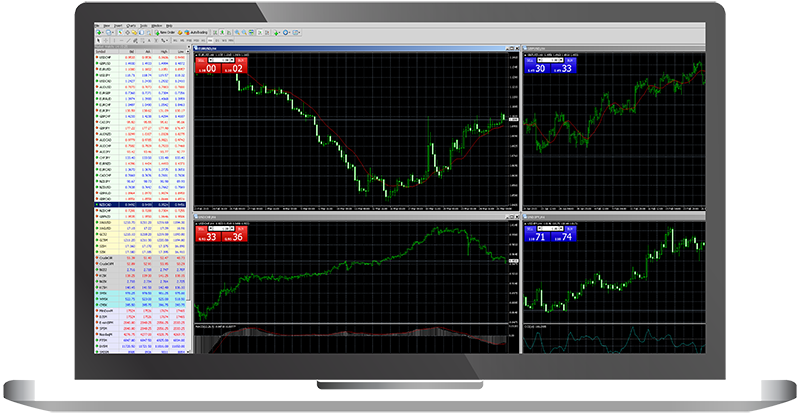 The MT4 WebTrader is also a good online trading solution for MAC users. The web trader has the same functionalities of the downloadable MT4 application. It is also user-friendly and includes features such as charting and indicators, in addition to easy management of orders. To access your account through WebTrader, click here, enter your username and password and select your account’s type. If you’re having a hard time managing several trading accounts, the MetaTrader 4 Mutli-Terminal will allow you to juggle between them all, and on top of that, it will equip you with a variety of tools to do it - simultaneously and seamlessly! Benefit from no restrictions on managed accounts. Manage and generate detailed trading reports. Manage more than one master account with different setups and trading strategies. Employ different types of order allocation methods from a single master account. Trade using Expert Advisors (EAs) or algorithmic trading. Use all the regular order types that are usually available on the MetaTrader 4 (MT4) platform.